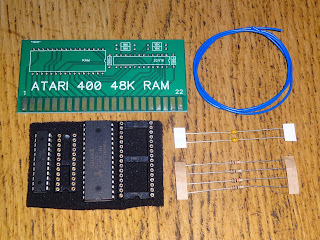 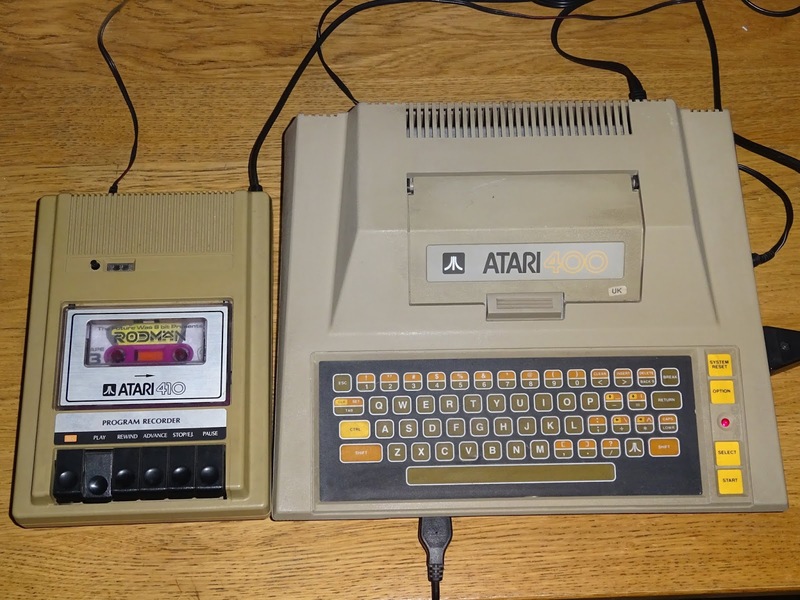 In the last blog post, I upgraded the RAM in an Atari 400 from 16K to 48K. 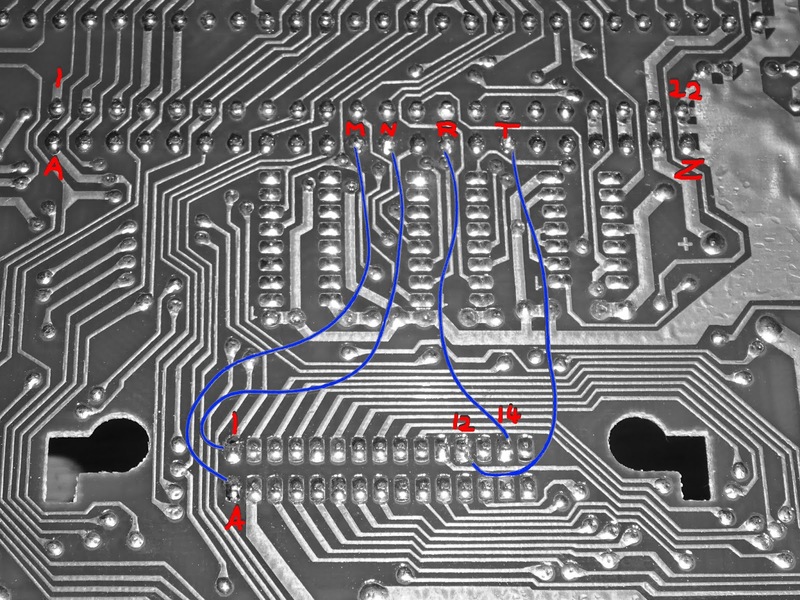 Here are the new boards to make that process easier. 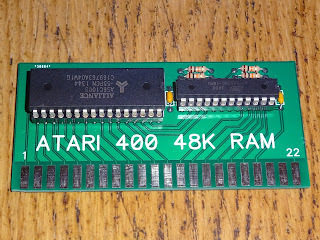 On that first 400, I tried soldering a 32K RAM chip under the board, and reassigning the original 16K RAM card to sit after that giving 48K of RAM. 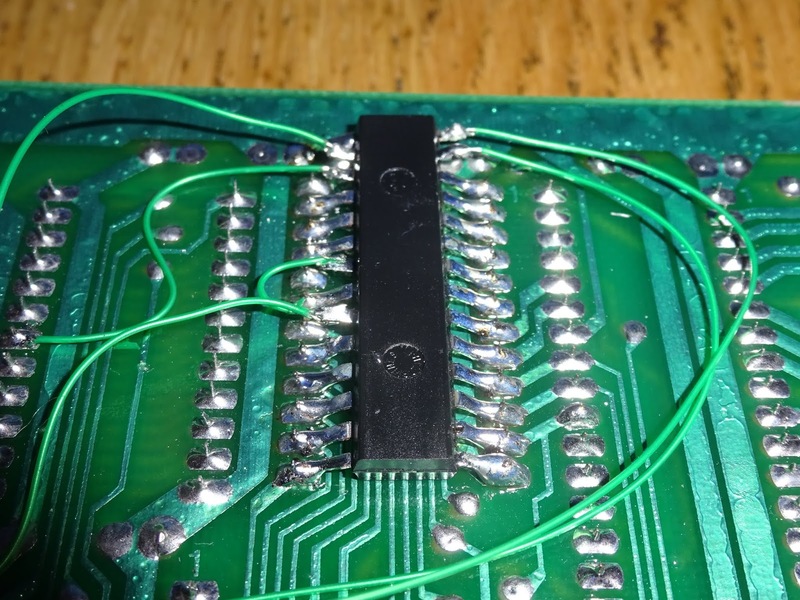 That worked nicely, but wasn't as neat as original planned, as I needed to add a NAND gate, and two OR gates to complete the circuit, so I went back to the idea of replacing the original 16K RAM card with a new one. 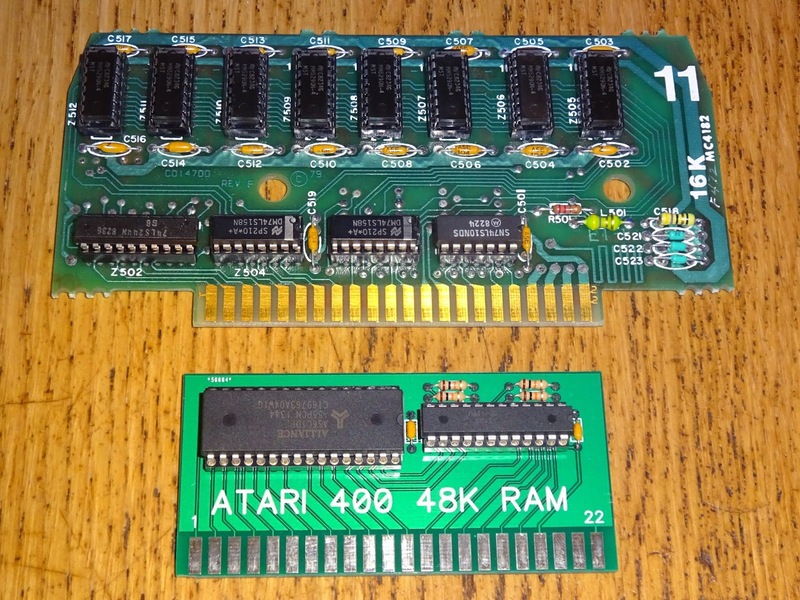 The new RAM card is a lot smaller than the original 16K card, but fits in the same slot. 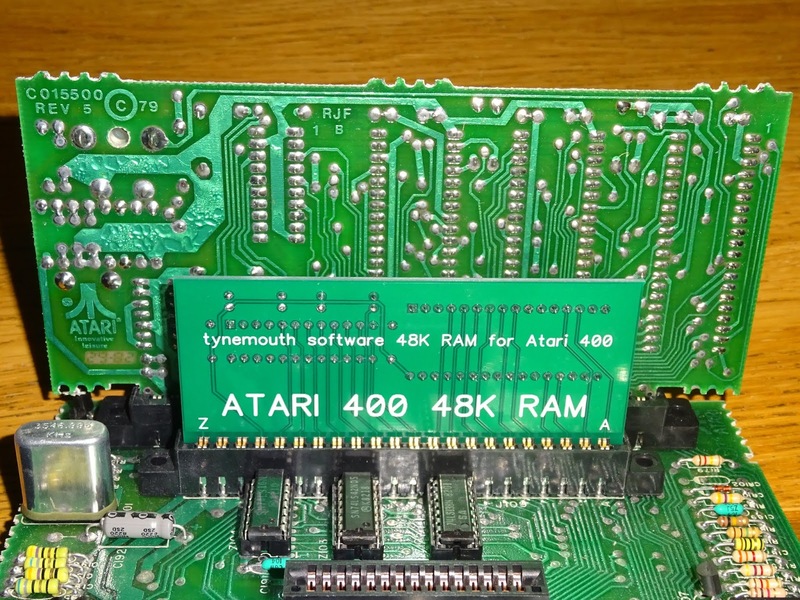 The problem with that approach, is the cartridge is only wired for a maximum of 32K RAM. 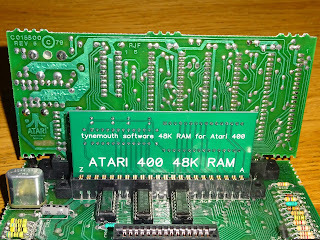 The card can be used like that, without any modification to the Atari 400, this will give 32K of RAM. 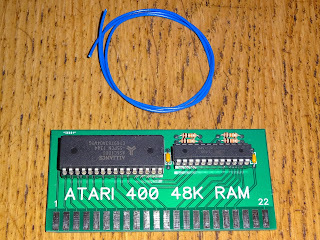 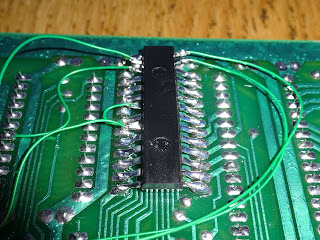 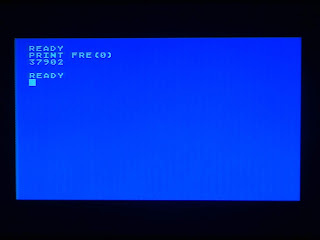 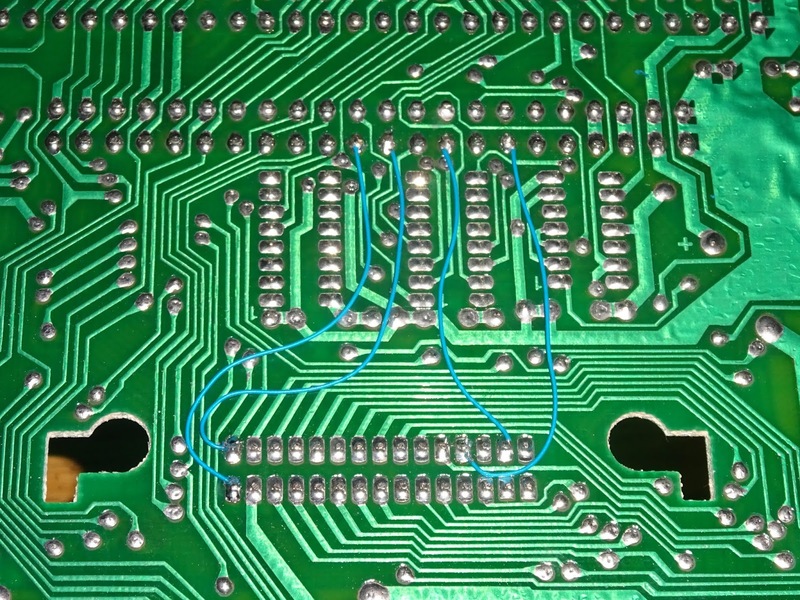 However, to get the full 48K, the missing signals can be connected to some unused pins on the connector. With those modifications, you get 48K, which can be used when loading from disk or tape. 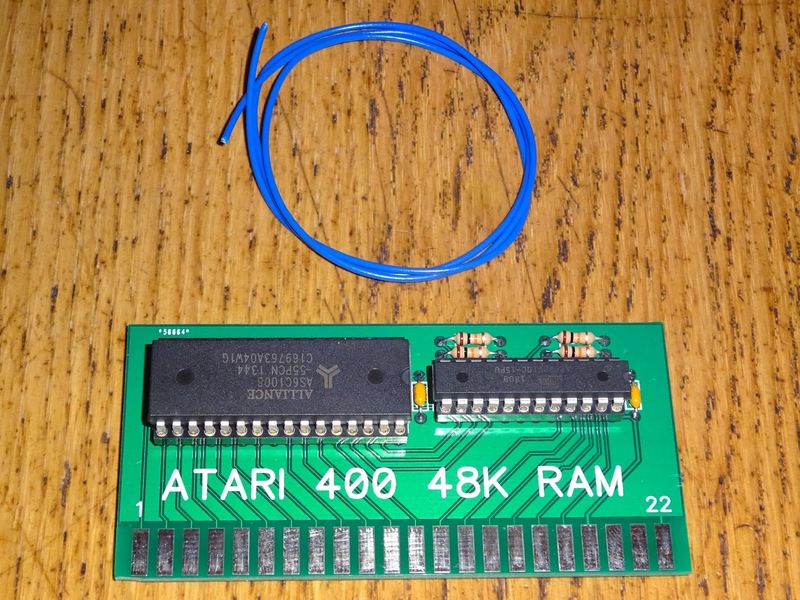 In BASIC, as with any Atari, 8K of that is hidden behind the ROM cartridge, so the maximum BASIC sees is 40K. 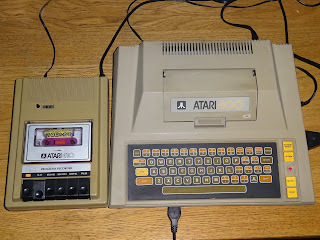 The labelling is slightly unusual, as one side is number 1-22, the other is A-Z (missing out G, I, O and Q). 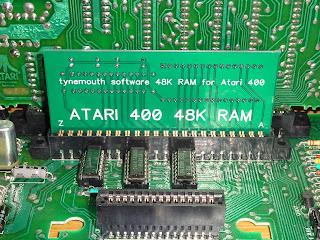 The cartridge is port is 1-14, A-S. 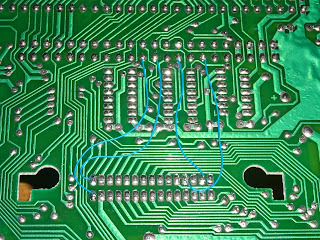 The sides facing the front is the letters, with pins 1 and A on the right hand side. 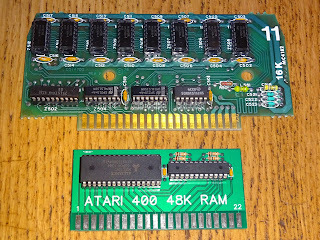 The chips on both cards face the back of the unit. 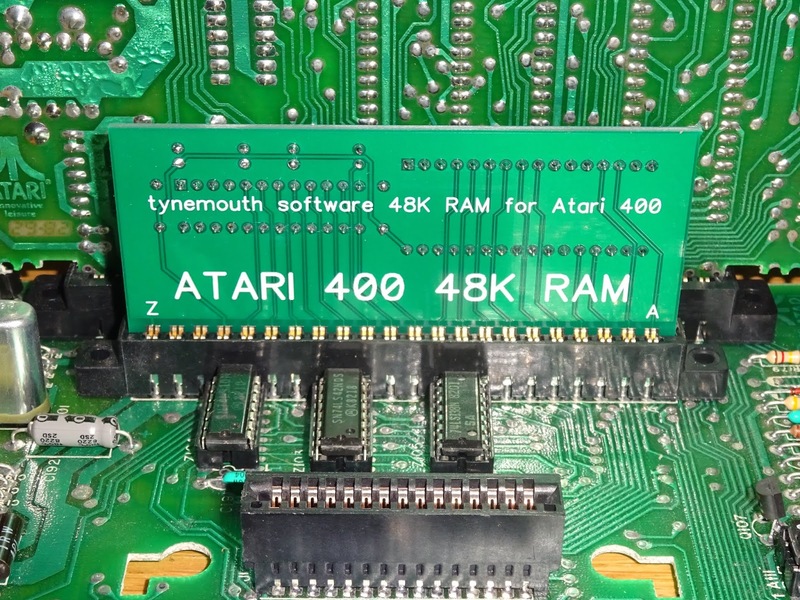 The 48K RAM card is available now from my Tindie store, either as an assembled unit, ready to go. 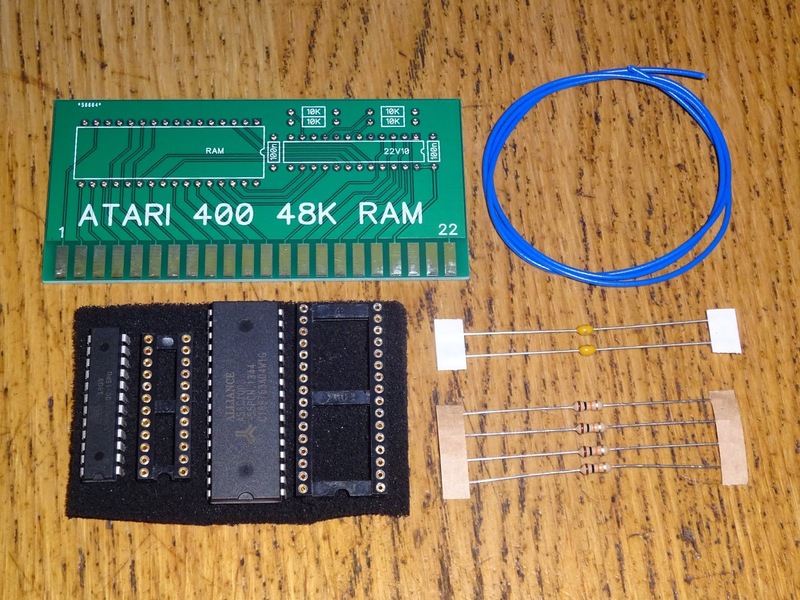 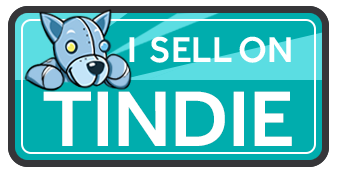 Or as a kit, complete with ready programmed GAL chip. 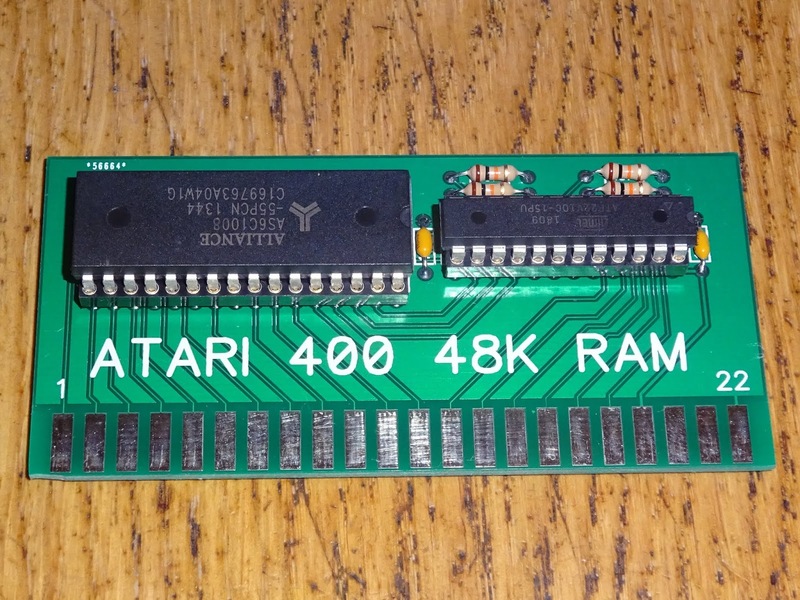 Once that is installed and the Atari 400 is reassembled, it's pretty much an Atari 800, certainly in terms of software compatibility.